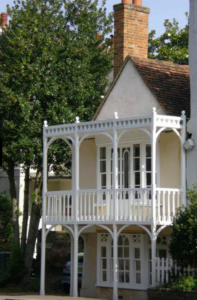 Robert Adam was born in early 1896 in Littleton, West Lavington, Wiltshire. He was the youngest boy of nine children born to gamekeeper Alexander Adam and his wife, Agnes, nee Christie. His parents were Scottish; his father was born in Kincardineshire and his mother in Aberdeenshire. The children’s birthplaces suggest that the family was moving around the country a lot, no doubt with Alexander’s work as a gamekeeper. 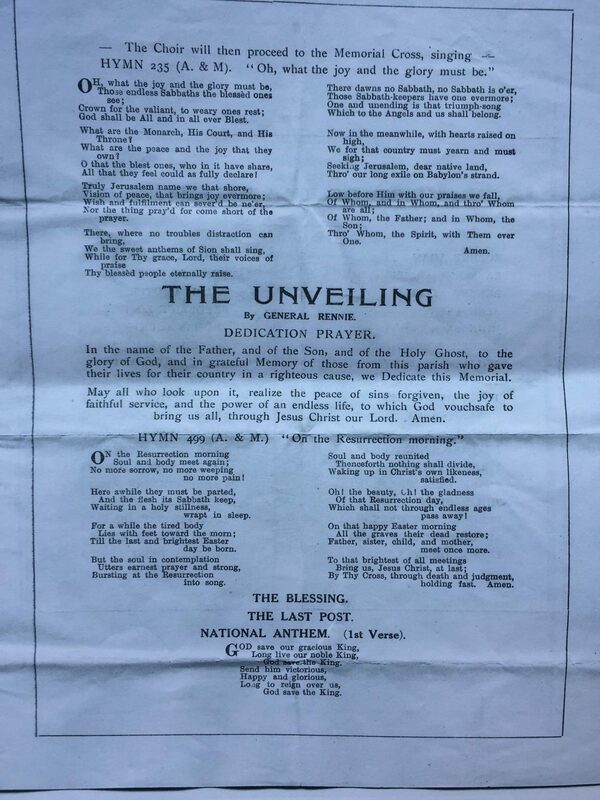 In 1887 they were in Sussex, in 1888 in Fifeshire, 1890 Yorkshire, 1892 Kincardineshire, 1894 Surrey, 1896 and 1899 Wiltshire, 1901 and 1904 Berkshire. 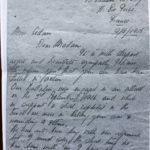 They were still in Berkshire at Lambourn Woodlands for the 1911 census when Alexander’s two oldest sons were listed as gamekeeper’s assistants. 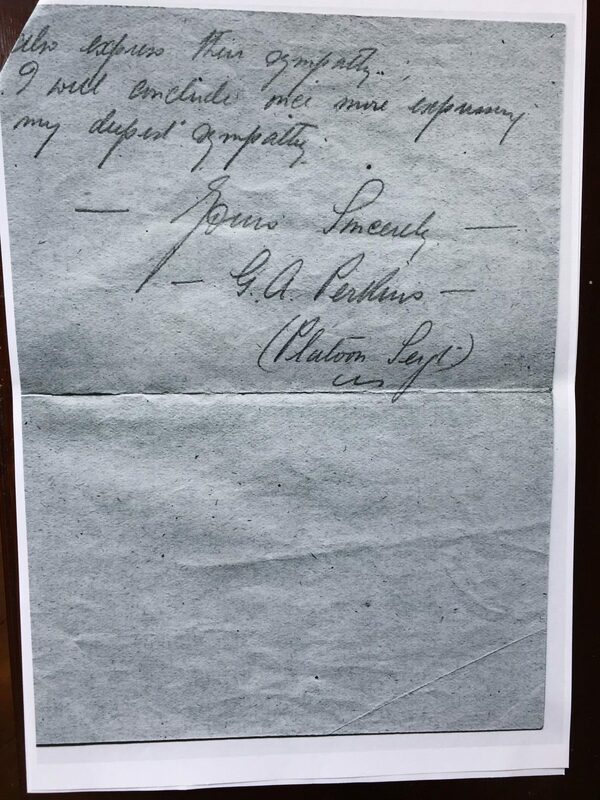 Gamekeeping must have been fairly lucrative; Alexander died on 30 September 1913, at Westminster Hospital, leaving £1387 10s 1d in his will. 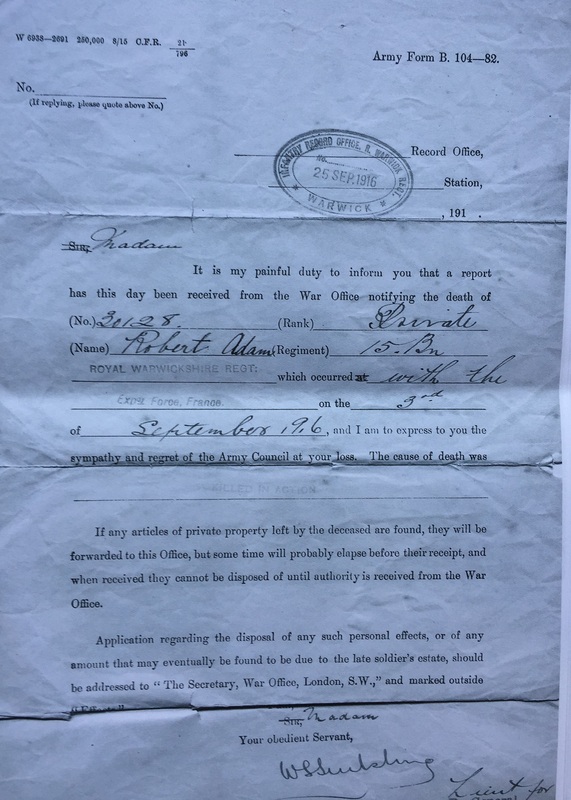 We know Robert arrived in the village sometime after the 1911 census and was living in Datchet when he enlisted but until recently, we did not know his occupation. 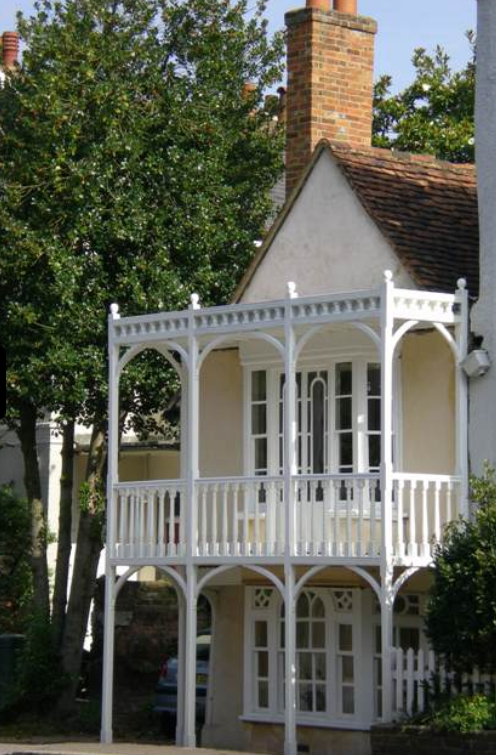 We had wondered if there was a possibility he had become a gamekeeper like his father and was breeding and protecting game – and deterring poachers – on the Ditton Park estate for the Montagus of Beaulieu. 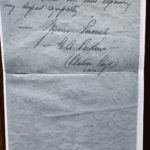 In February 2019, we were contacted by Robert’s nephew, Michael Fred Christie Adam, who told us that his father, James, and Robert, worked as chauffeurs in Datchet for the Carson family of paint manufacturers at White House. Robert and his four brothers all enlisted. 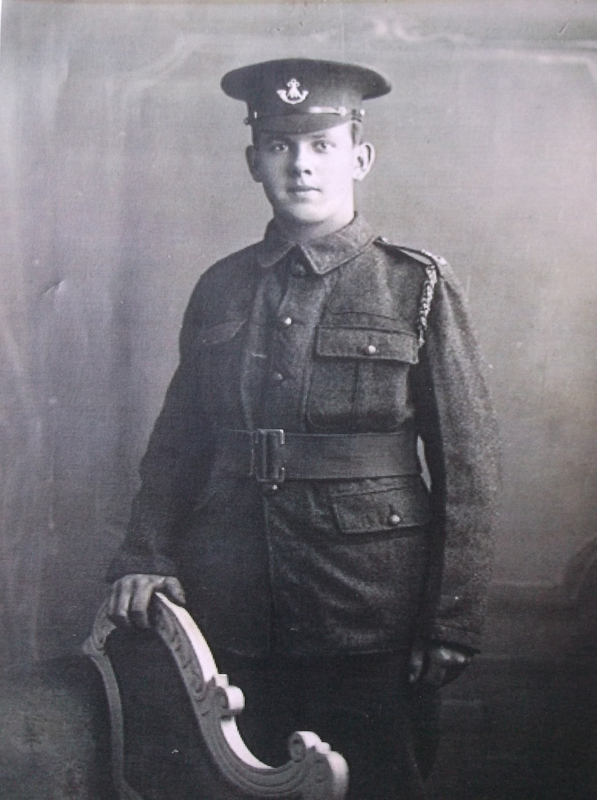 Alexander Adam (b1886) served as Private 20228, Royal Berkshire Regiment and later as Private 595690, Labour Corps. John ‘Jack’ Christie Adam served as Leading Air Mechanic, F5878, Royal Naval Air Service. William Christie Adam (b1889) served as F5903 Royal Naval Air Service. And James (b1893) served with the British Red Cross and later in the Royal Air Force. 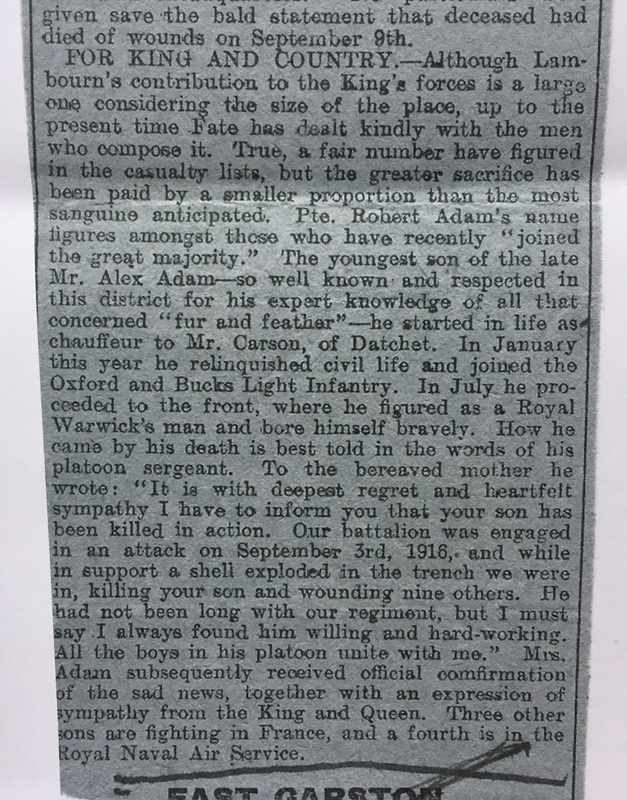 Robert enlisted in Windsor. He trained with the 2nd Battalion of the Oxfordshire and Buckinghamshire Light Infantry as Private 22167, then transferred to the 15th Battalion Royal Warwickshire Regiment as Private 30128. 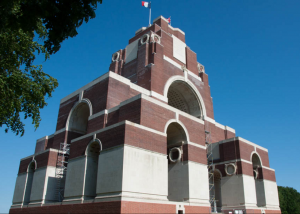 The 2nd OBLI was mobilised in February 1916 and sent to France in June 1916. 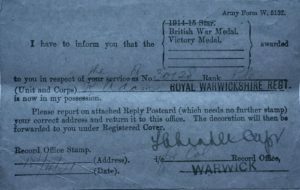 The men then transferred to the 15th Royal Warwickshires at the beginning of September 1916, as part of the 13th Brigade, 5th Division. 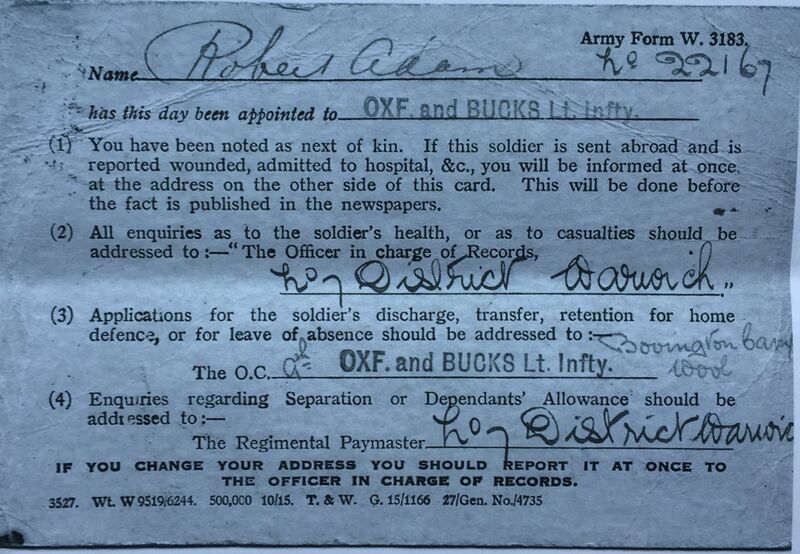 Robert was in 19 Platoon D Company. 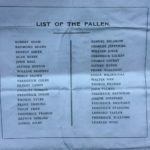 Robert was killed on Sunday 3 September 1916 when the battalion attacked Falfemont Farm during the Battle of the Somme. 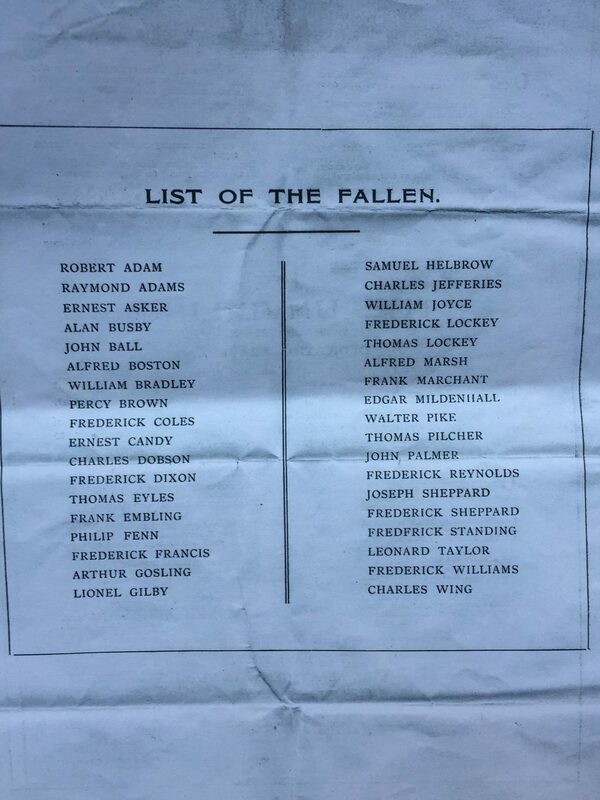 The battalion suffered 231 casualties that day. 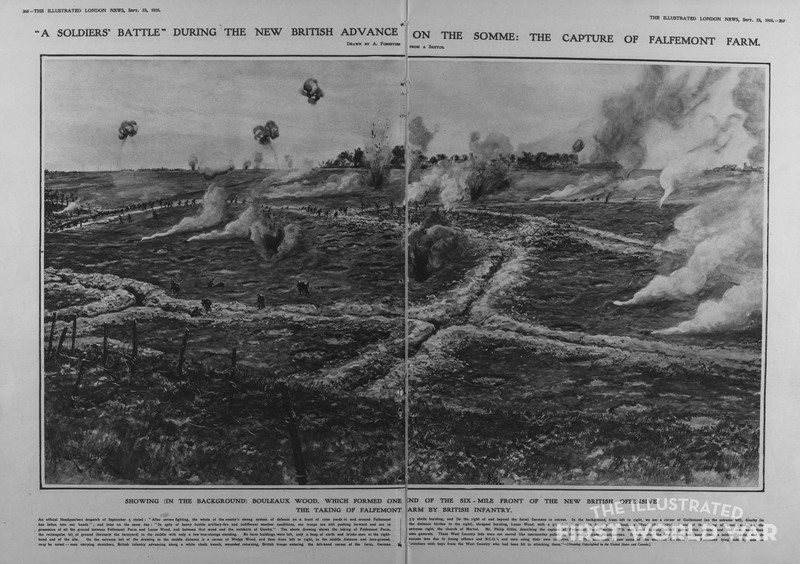 The attack on the farm was part of the Battle of Guillemont, 3-6 September 1916. The Commonwealth War Graves Commission website includes information about this battle: “Throughout late July and August 1916, Guillemont defied repeated British attacks. These bloody encounters led only to partial and temporary occupations of shattered ruins as determined German counter-attacks and continuous artillery fire forced later withdrawals. “Another major attack was planned for late August, though heavy rain delayed the operations until 3 September. 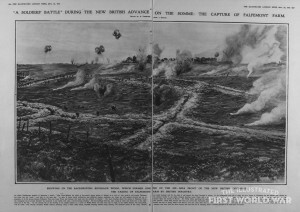 Preliminary bombardments began on Saturday 2 September and, at 8.50am on Sunday morning, 5th Division [Robert’s division] advanced towards the protective strongpoint of Falfemont Farm to the south-east of the village. “The main assault on Guillemont itself was made by 20th (Light) Division, two battalions of which crept forward before zero hour and took the Germans by surprise. 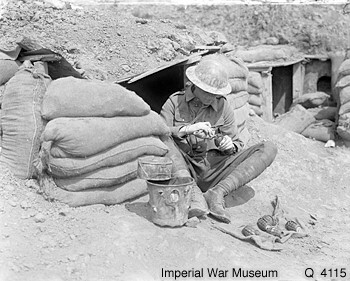 At noon the main line, including a brigade of the 16th (Irish) Division, advanced and after much difficult fighting (especially near the quarry and station) Guillemont was secured and progress made several hundred yards eastwards. 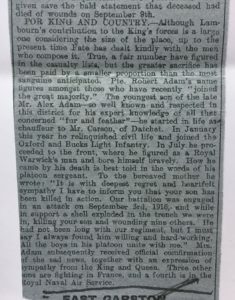 Robert’s mother received the sad news of her son’s death in a letter from his platoon sergeant, written on 9 September, which Robert’s nephew has kindly shared with us. 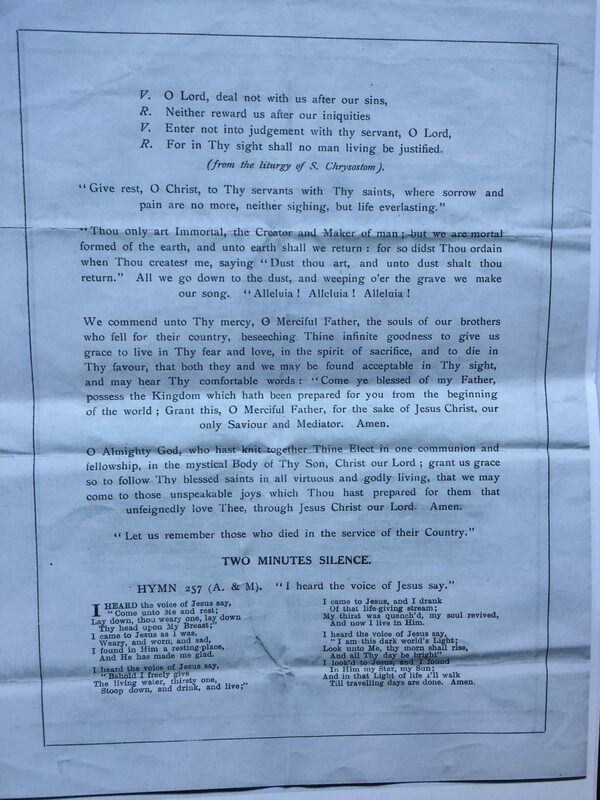 Robert’s great, great nephew, Matt Spring, wrote on the Great War Forum that he recalled his grandmother showing him a newspaper cutting which quoted this letter to the family. Some sources on the website forum claimed that the barrage fell short, shelling British troops rather than the German positions. 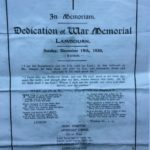 The letter from the platoon sergeant was followed with official notification sent on 25 September 1916, confirming that Robert had been killed in action. 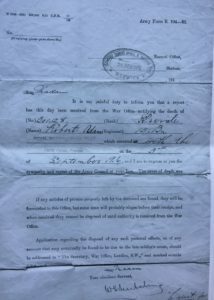 Mrs Adam received a letter in April the following year, 1917, from the War Office issuing the sum of eight shillings and six pence ‘being the amount that is due on the settlement of the accounts of the late Private Robert Adam to his brother James. 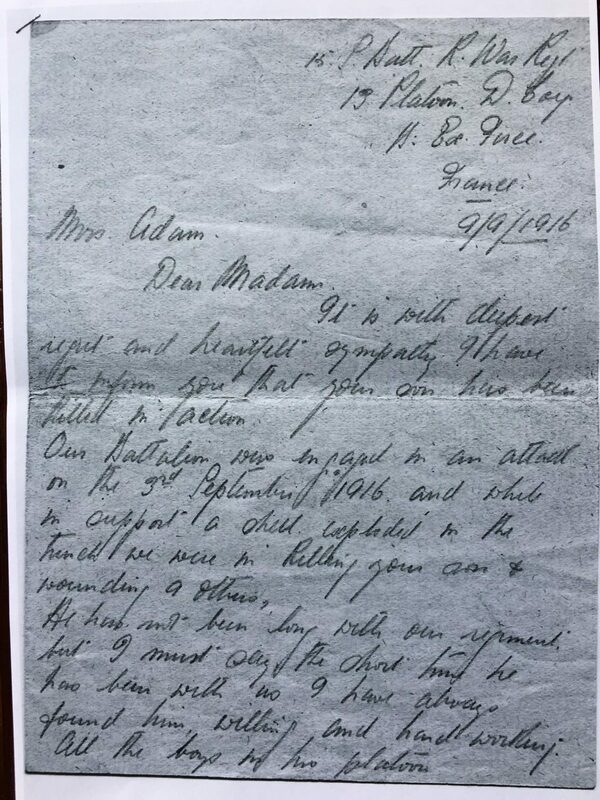 The above amount is issued to you in accordance with the written request of the deceased’s brother James.’ This was sent to Mrs Adam at Staff House, Lambourn. 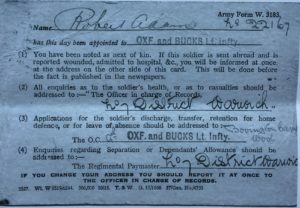 And again in December 1919, another formal letter from the War Office announced the payment of three pounds being the amount due to the estate of the late Private Robert Adam on account of War Gratuity, to be distributed in equal shares between his mother, sisters and brothers. 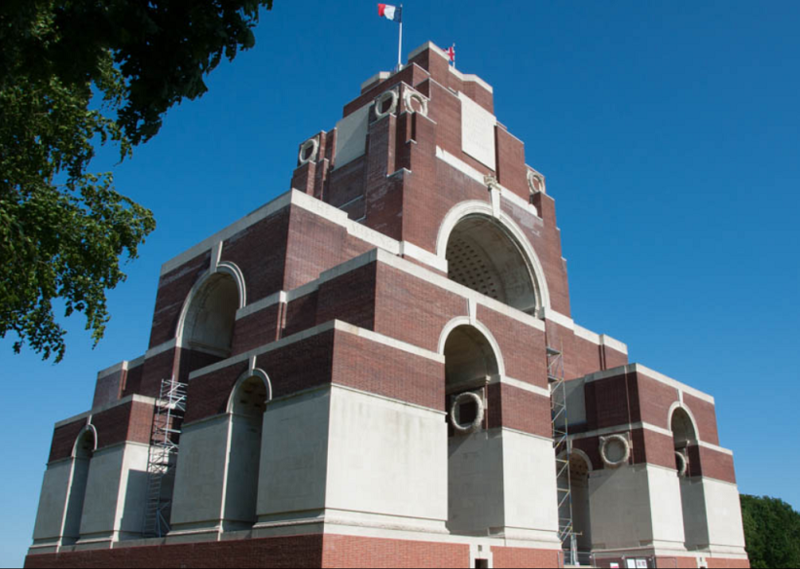 Robert has no known grave and is remembered on the Thiepval Memorial, the memorial to the missing of the Somme. He is also commemorated on the Datchet and Lambourn War Memorials. 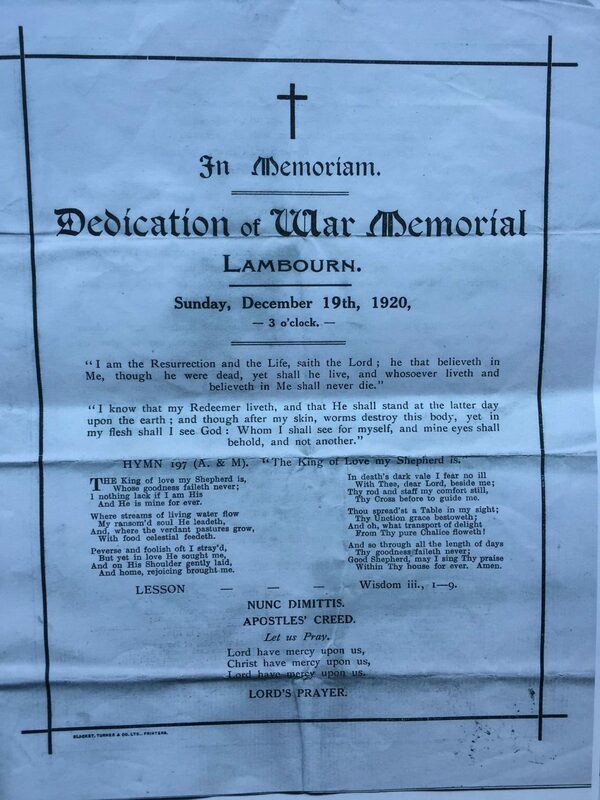 The Lambourn Memorial was dedicated on Sunday 19 December 1920 at 3pm. 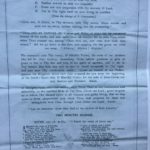 Michael Adam kindly sent us a copy of the service sheet. 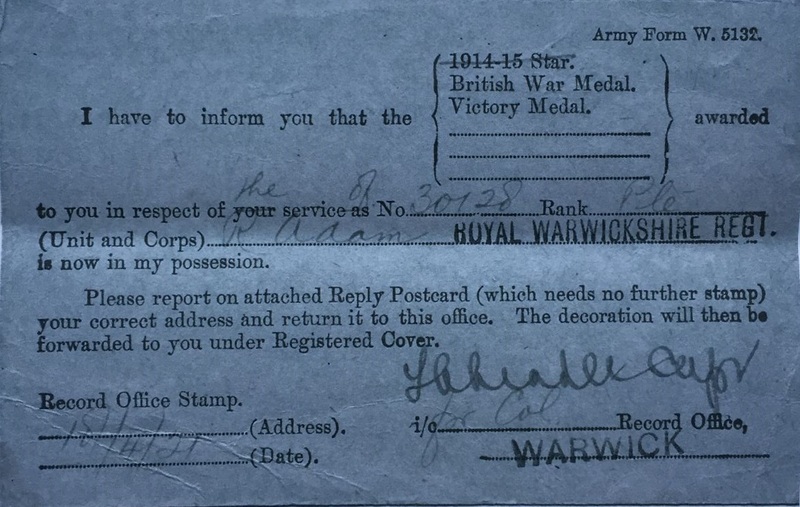 Robert was awarded the British War and Victory medals. 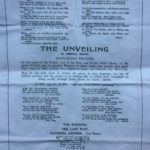 His family received the following notification of this in April 1921.